Fifteen years ago to the day, Firefly began. It had a short life, though we did get a few unaired episodes added to the series box set. Those fourteen episodes have changed countless lives. 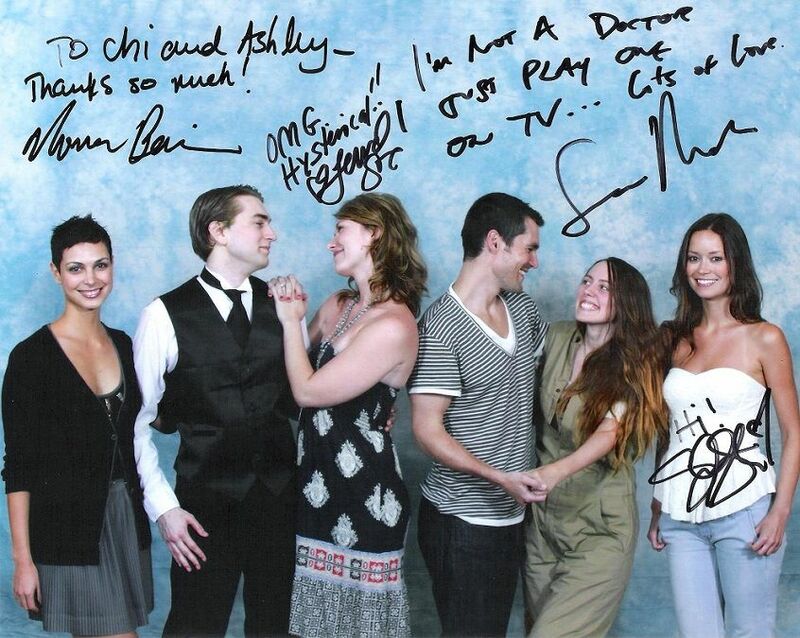 They have introduced people to the Whedonverse and, in some cases, to their lifelong companions. In the early summer of 2009, Mr. Nerdly finally gave in to all of his friends telling him that he had to watch this amazing show called Firefly. He proceeded to have his mind blown. This is where fate stepped in. The future Mrs. Nerdly had just gone through that same experience and, being a lover of all things Joss Whedon, put out a “cast and crew” call on the Atlanta Browncoats forum for a sort of “Ode to Joss Whedon” web series, to which Mr. Nerdly responded… Long story short, we met and spent the summer falling in love. We’re not going to get into the religiosity of the Fuzzy-Wuzzies, but for the sake of our story we’ll say we believed. We knew that in our case, if we were to get married, we’d receive a sign; what we didn’t know was that we’d already received parts of it by way of seemingly bizarre dreams and strong “feelings” of whats and whens… But long story short, he was “told” we would know by x date if it was meant to be, and she had a dream that felt different than any dream she’d ever had and awoke with a strong “urge” to share it with him noting that it felt super important but she just didn’t know why. On the very night of the aforementioned “when”, we got together, and at the end of that night thinking our time had passed, she was about leave his house and they’d both move on knowing it wasn’t meant to be… but just before she left, as they moved into the living room, The Food Network (we weren’t watching TV in this room that night, so why was the TV even on at all, not to mention on this channel?) 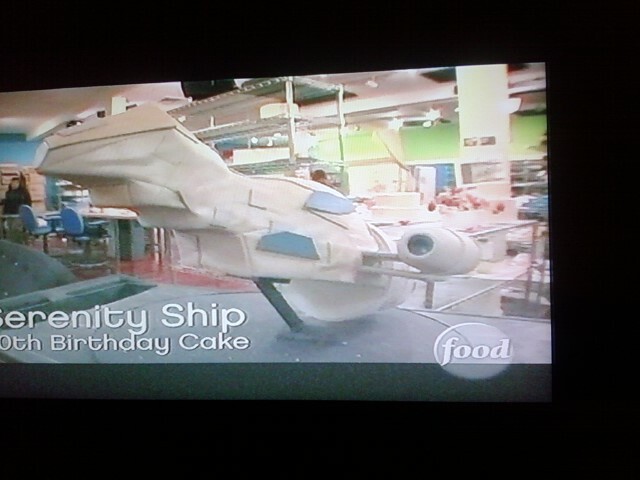 was airing a rerun of Ace of Cakes, and who should be the feature of the episode but our favorite spaceship, Serenity – this being the “what” from the dream she didn’t understand… There is so much more to this seemingly bizarre but miraculous story that we would be more than happy to share to fill in the blanks, by request, but we must move forward. 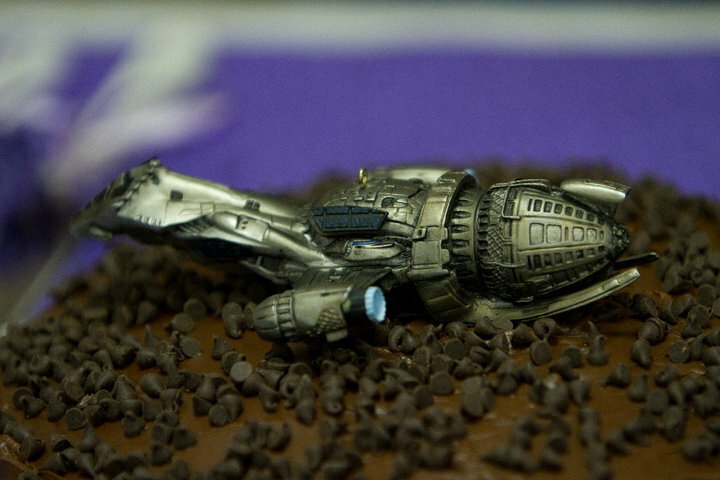 The Serenity cake from Ace of Cakes, taken on Mr. Nerdly’s cell! 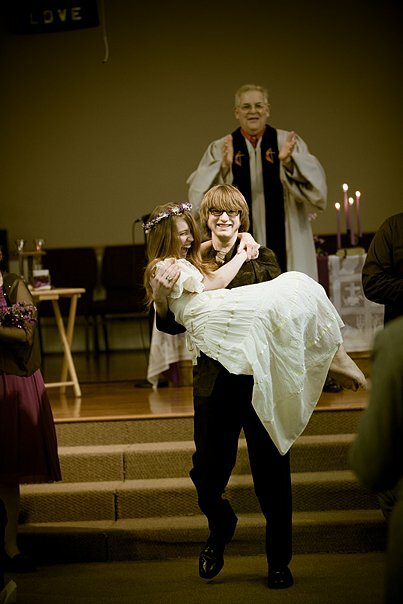 A few short months later, we had a pop culture-filled wedding which included Mrs. Nerdly walking down the aisle to “Inara’s Suite” and Mr. Nerdly carrying her out of the church to the end credits of Serenity! 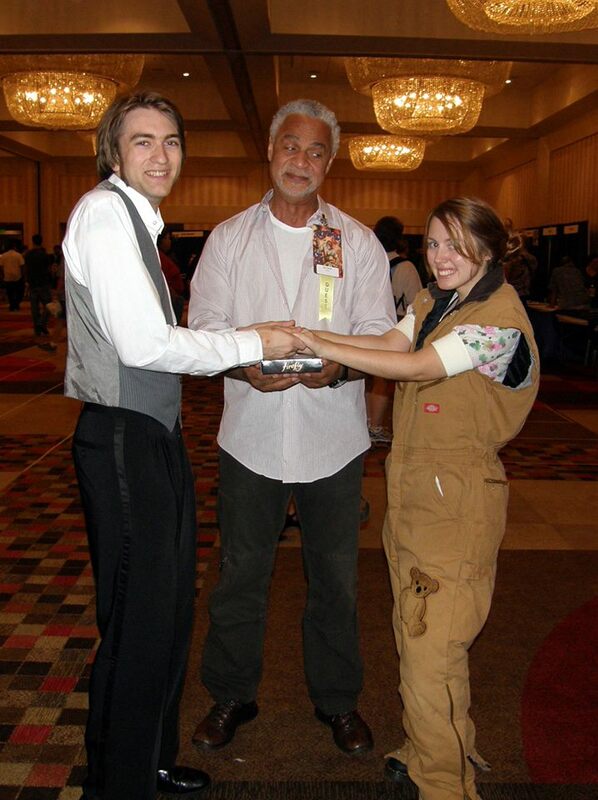 We have been cosplaying Firefly characters, staging shiny photos with the cast, and hosting Cant Stop the Serenity ever since! Simon and Kaylee couple swapping with Simon and Kaylee! On Firefly‘s birthday (and the anniversary of the love affair so many share with this show), we couldn’t think of a better topic to cover than Firefly-inspired romances! 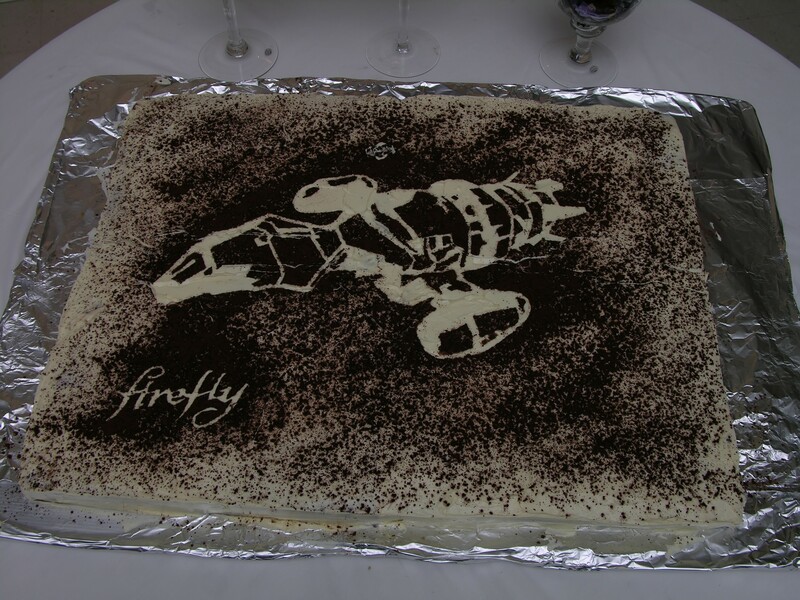 We reached out to our friends, fans and flans to share stories of their love and how Firefly influenced it. Beth Nelson, founder of the Austin Browncoats, was happy to share her shiny love story with us! 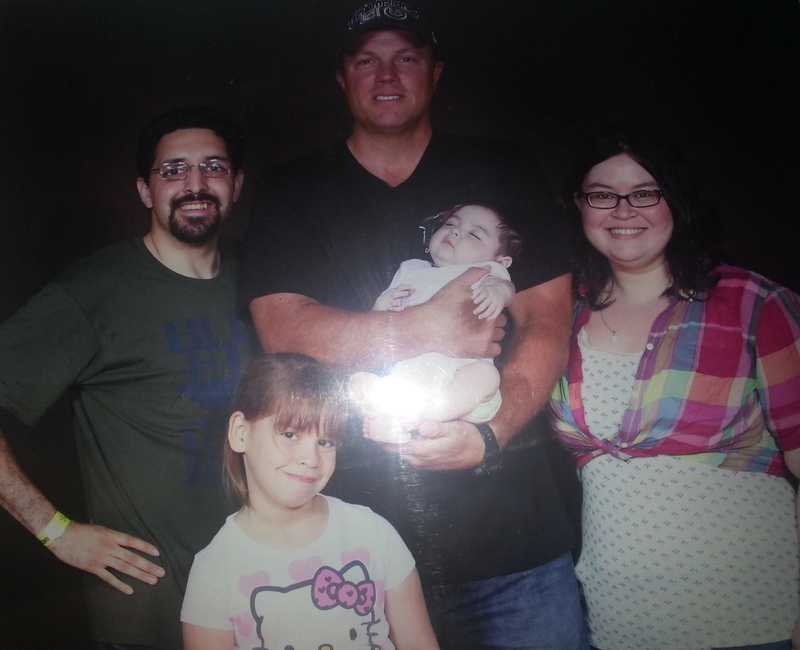 Ryan and I officially met at a Browncoat event where we were creating post cards to send to Universal requesting a second Serenity film. Ryan says he saw a photo of me online, and that’s the primary reason he decided to attend the event. He later told me I was even prettier in person . . . If my looks didn’t seal the deal on him wanting to date me, my hilarity did! My postcards were ridiculously funny. They were messages from Satan demanding a second film. How do you say no to that? . . . We saw each other again at a Blazer Tag event called “Battle of Serenity Valley”. A bunch of Firefly fans got together and played Browncoats vs. Alliance. During the last game, they switched the teams up without telling us…and Ryan was suddenly on my team. He started doing some weird Spider-Man moves, which weren’t very efficient. He wouldn’t leave my side, either. He protected me, even though I didn’t need protecting, since I won both previous games. At the time, I thought he was just a bit odd. Apparently, he was courting me . . . Much, much later, I ended up asking Ryan out (after being totally oblivious that he liked me for far too long). And the rest, as they say, is history. We have run Austin Browcoats together, along with an amazing group of volunteers. We’ve been able to attend conventions across the country in order to help raise well over $100,000 for charity. Ryan wearing his screen used Alliance uniform, with his wife Beth! 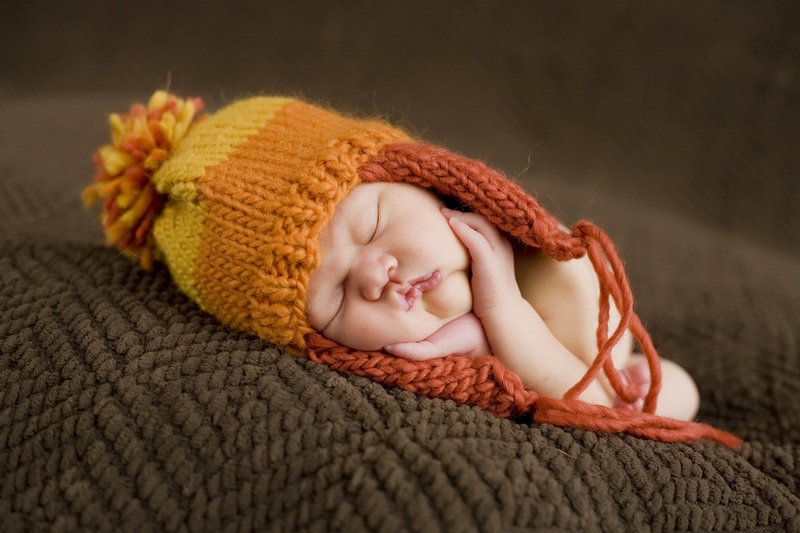 Their tiny bundle of cunning cuteness! 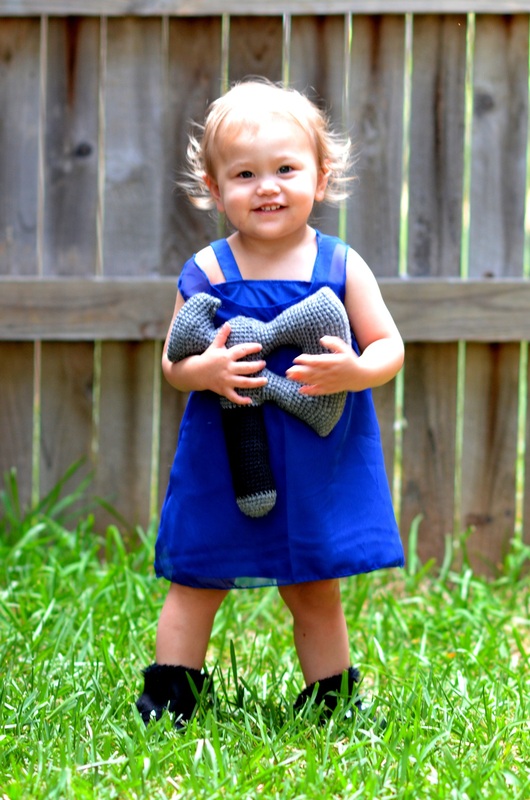 Their baby River, complete with reaver axe! Here’s a shiny love story from Anna DeLaFuente! My husband and I met in college back in 2006. We got to know each other as friends, and one day he decided he wanted to introduce me to a show I had never seen before but he loved. It was Firefly! It became something of a tradition for us to meet in between class twice a week and watch one episode. By the end of the season we were officially dating. In my engagement ring are the letters ‘TNPICBSIFS” (“There’s no place I can be since I found Serenity” – the phrase was too long)! Suzanne Louzau shared her amazingly shiny love story, and we’re glad she did! My husband and I met at a sneak preview of Serenity in Dallas. Firefly played a huge part in our courtship (still does). From having my chest signed by all the men of Firefly to the most shocking proposal I could have imagined (with help from our very own Captain) . 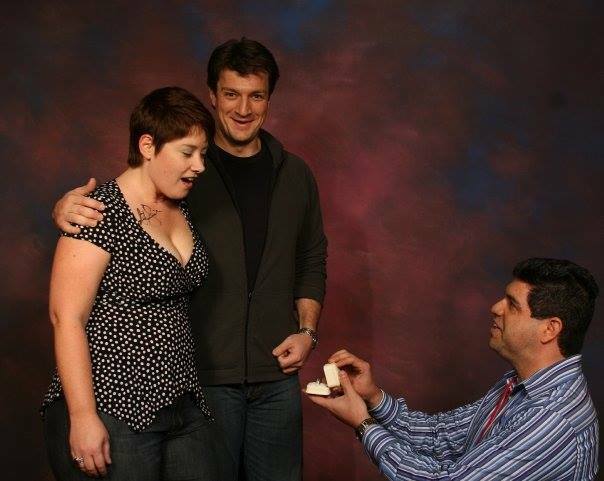 . . and this was 5 years ago…before everyone was having celebs help them propose during photo ops. The shiniest proposal! With help from Captain Malcolm Reynolds himself! Another shiny love story from Chuck Coshow! We started dating a year later, and got engaged a year after that. We married on October 6th, 2007. 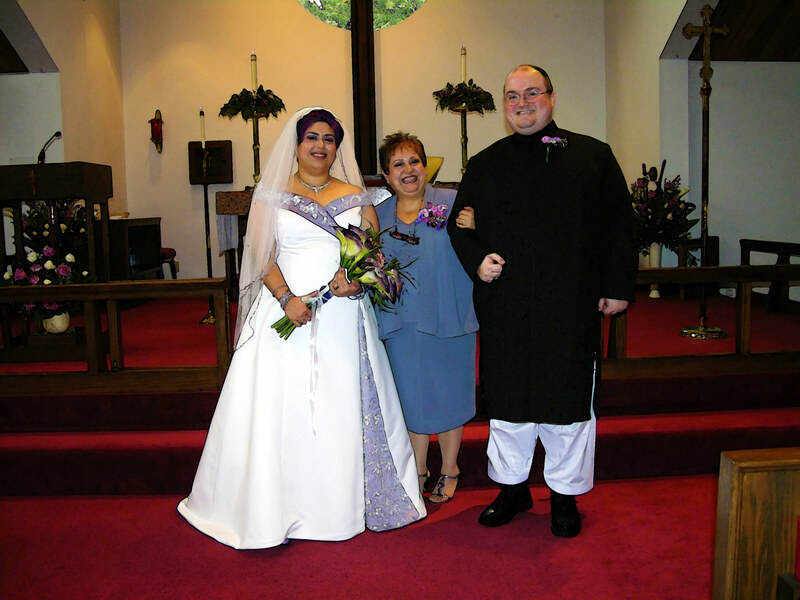 The entire wedding had Firefly elements – We incorporated Chinese and Indian style elements (I wore a shalwar, an Indian dress coat; Val had sari fabric in her wedding dress; we gave our guests gift baskets with Chinese folding fans and I-Ching coins). I made my groom’s cake, with Serenity on it. And our wedding rings say “Forever and Always” – in Chinese. We have been deliriously happy ever since. And none of it would be possible without Firefly. There are a million reasons to hold Firefly dear to our hearts; some of us just have one more (really shiny) reason! Got a Firefly-specific love story? Let us know your story, and we may add it to our updated 15th anniversary post here for the rest of the ‘verse – and maybe even the cast and crew of our favorite sci-fi western – to see (this post is updated, to reflect Firefly’s 15th anniversary, from the original feature we published in 2013)! Stay tuned to Nerdy Minds on Facebook and @NerdyMindsMag on Twitter for even more nerdy news, deals, top 10s, reviews, and interviews (etc.) coming soon! If you’d like to write something to have published on our site or if you’d like to see us cover something specific, you’re encouraged to take a quick look around to see if we’ve done it already… then contact us with your ideas! We’d love to hear from you!